Mary is our fantastic elementary ballet and creative movement teacher here at Misako Beats! She grew up locally in Baltimore County and studied dance at Towson University.She loves going down to Old Ellicott City to explore the community based town and find inspiration through the unique area. Ms. Mary started dancer because of her older sister, she saw how much she loved dancing and wanted to be just like her.She loves dance because it gives her the ability to completely embody the movement without any fear, and express yourself through it. She greatly appreciates the beauty of simple movements and gestures through the movement of your arms. 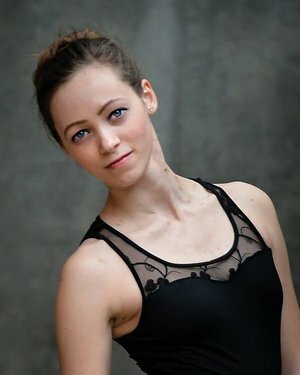 When teaching she hopes to be able lead them to finding life in dance, while teaching technique she wants to emphasize finding their own freedom in movement and expression, and to not be afraid of messing up but embrace it because everyone makes mistakes. She hopes all of her students can give the gift of themselves to the world through dance!